Duncan acts for both claimants and defendants in all elements of personal injury law including serious road traffic accidents, occupiers’ liability, employers’ liability and high value claims. He often advises in complex disputes requiring extensive schedules and involving challenging causation issues. Duncan has particular expertise in employers' liability, specifically cases involving accidents at work, where his background outside law and his degree in physics provide a particular insight and skill when dealing with technical expert evidence. Taking a practical and unflinching approach to risk assessments in marginal CFA cases, Duncan is not afraid to run cases where prospects are less than guaranteed. He also has experience advising and representing parties at Inquests and the Criminal Injuries Compensation Scheme. D v M: Quantum assessment. Claimant pedestrian run over by 4x4 and suffered pelvic fracture; liability admitted. Should have made a reasonable recovery but instead was left with severe disability arising out of a chronic pain condition. Lost her Navy career and pension, was left with little residual earnings capacity. Case gave rise to complex issues of causation and quantification of Navy earnings and pension. Settled for £1,322,000 less CRU and interims. W v T: acted for claimant who stumbled over poorly-compacted backfill where a utility company had dug a trench. It denied liability but Duncan pleaded the surprising but effective application of the CDM regulations. Claimant suffered injury to her leg leading to amputation. Defendant raised complex medical causation issues as claimant suffered diabetes and had a serious fracture to the same leg one year previously; alleged that index accident did not cause loss of leg. Both liability and causation issues settled in claimant’s favour for lump sum of £500,000. B v B: Acted for claimant, pillion passenger who suffered serious injuries in a motorcycle collision where the driver, her fiancé, died in collision with a bus. Indemnity issues regarding driver's failure to notify insurer of modifications. Claim ran against fiancé’s estate, the bus company and fiancé’s insurer under Article 75. Liability and indemnity issues eventually resolved in claimant's favour. Injuries included moderate head injury and significant pelvic fracture, though the claimant returned to work and independent living. Settled for £150,000. G v a motor insurer: acted for a passenger who claimed damages for loss of the chance of a career in the armed forces. This required complex calculations as to the value and chance of different factual scenarios, which Duncan resolved by developing an IT-based solution. Significant quantum issues included lost earnings: claimant was in the process of setting up a business at the time of the accident and we had to reconstruct his potential income from limited evidence. The claimant's PTSD complicated matters because he was prone to entering a dissociative state in moments of stress, which required careful and sensitive handling. The case settled after a JSM for £105,000 plus CRU of approximately £20,000. S v L: Acted for young claimant in claim for traumatic brain injury suffered in road traffic accident. Ongoing complaints of severe fatigue, concentration problems and personality change; claimant was by now in university, managing her course, but requiring substantial extra effort. Experts for both sides (neuropsychologists and neuropsychiatrists) disagreed as to whether brain injury was moderate, with cognitive changes arising from physical damage, or mild, with cognitive changes arising out of post-concussion syndrome and psychiatric factors. If the latter, the experts disagreed about the likely prognosis. Claim settled for £95,000. S v G: Acted for middle-aged claimant in claim arising out of moderate road traffic accident with moderate physical injuries. Claimant suffered devastating post-traumatic stress disorder which arose after the accident, but the content of his disorder related to sexual abuse he suffered as a small child. There were substantial causation issues: our expert said that, but for the accident, the claimant would not have developed the psychiatric symptoms, regardless of their subject matter; defendant's expert said that the claimant would have developed them at some time in any event. B & M v D: Acted for defendant's insurer in fatal motorcycle accident in which defendant suffered paraplegia and his pillion passenger died when a vehicle ran over her. The driver and passenger of the other vehicle sued the defendant, claiming psychiatric injury but not physical injury. Advised on the law on causation, taking account of the criteria for recovery of psychiatric injury as a primary victim on the basis that the claimant was an 'unwilling participant' who had unintentionally caused another person's death. The driver and passenger were in very different legal situations because the driver was the unwitting cause of death but the passenger, probably, was not. Both claimants had pre-Jackson funding arrangements and the insurer made an economic settlement. Stephens v Braham: Duncan’s client was a motorcyclist who suffered severe injuries when overtaking a car turning right at a junction. Two independent witnesses gave evidence that the car had been signalling right for some time before the turn. Client’s Part 36 offer was 50/50 and other side’s was 75/25 against. At a hard-fought three-day liability trial the judge found 50/50, matching Duncan’s Part 36 offer. Tucknott v Bridgend CBC: acted for a cyclist who fell as a result of a defective bridge surface on a cycle path. He sustained a serious femoral fracture with life-changing consequences. The defendant fought the case on complex arguments as to the status of the path: it argued the path was not a public highway at the accident locus, because the order creating it designated a different route. After cross examination of the defendant’s surveyor the judge accepted Duncan’s arguments and found the path to be on the public highway. Judgment on liability for claimant. Duncan has expertise in employers' liability and particularly cases involving complex accidents at work. His degree in physics provides him with particular insight and skill in dealing with technical expert evidence. Duncan’s practice also includes many high-value claims, including complex disputes with extensive schedules and challenging causation issues. Duncan also undertakes fast track cases. Duncan acts for both claimants and defendants in all elements of personal injury law including serious road traffic accidents, occupiers’ liability claim and employers’ liability. He deals with industrial disease, particularly noise-induced hearing loss, and claims against the Ministry of Defence. Before joining the Bar, Duncan had a successful career as a recruitment consultant. That experience provides him with useful and practical experience in the commercial aspects of litigation. Solicitors will always be concerned about counsel's threshold for accepting CFA cases. Duncan takes a practical and unflinching approach to risk assessment in marginal claims, and is not afraid to run cases where prospects are less than guaranteed. He usually wins them. 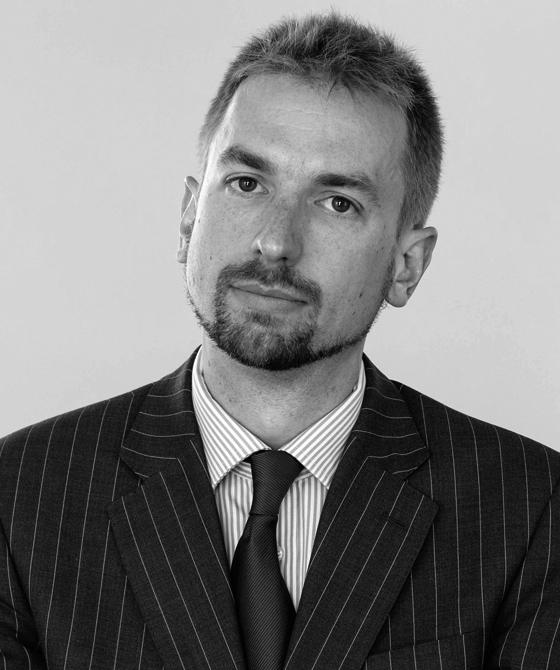 Duncan also represents parties at Inquests and the Criminal Injuries Compensation Scheme. W v T: acted for claimant who stumbled over poorly-compacted backfill where a utility company had dug a trench. It denied liability but Duncan pleaded the surprising but effective application of the CDM regulations. Claimant suffered injury to her leg leading to amputation. Defendant raised complex medical causation issues as claimant suffered diabetes and had a serious fracture to the same leg one year previously; alleged that index accident did not cause loss of leg. Both liability and causation issues settled in claimant’s favour for lump sum of £500,000. (2012). A Court of Appeal judge commented to Duncan McNair in a recent application for permission to appeal in a personal injury case: “(The client) has been lucky to have you as his advocate". Experienced junior acting for claimants and defendants in a wide range of personal injury claims. He is particularly experienced in the handling of employers' liability cases involving accidents at work. "His advocacy and cross-examination skills are very good, as is his paperwork." "He's very personable, turns paperwork around quickly and puts clients at ease." Legal 500 2014/Personal Injury and Clinical Negligence. A Court of Appeal judge commented to Duncan McNair in a recent application for permission to appeal in a personal injury case: “(The client) has been lucky to have you as his advocate".